Sirupate Kukri is one of the most famous Khukuri of Nepal. 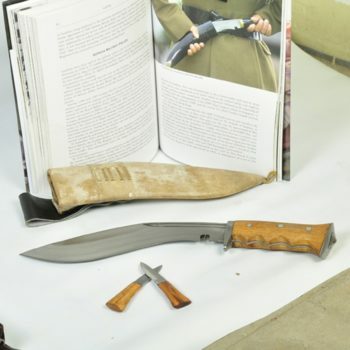 Sirupate khukuri is different in shape, design, and length than other normal khukuri. The blade of Sirupate khukuri is long and narrower than other normal khukuri. The name Sirupate derives from the word Siru as the blade resembles the leaf of Siru. It’s a very long and Unique Khukuri. It has a straight and slimmer blade, like that of a sword. The blade is made up of highly graded Carbon steel (Car and jeep leaf spring 5160). The handle is made up of rosewood, and the scabbard is long and made up of water buffalo leather fused with pinewood. The sheath of this type of khukuri is sometimes also made from yak- leather. 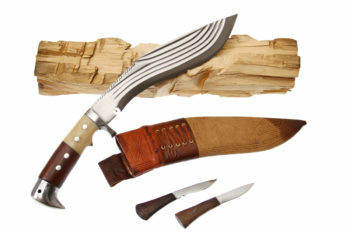 Now you can shop these amazing Sirupate khukuri at www.gurkhakukriknife.com at a wholesale rate. This khukuri can be used to decorate your room or to gift someone or for trekking purpose or for household works. We have different types and quality of sirupate khukuri. We are one of the trusted and certified wholesale suppliers of genuine handmade khukuri from Nepal. 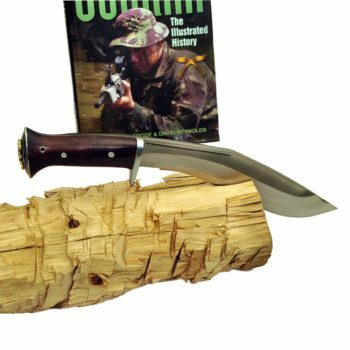 Shop for our wide range of kukri items select and let us know your choice and we will dispatch your selected product for FREE within 4 to 7 working days.